NBA 2K19 is a basketball simulation video game developed by Visual Concepts and published by 2K Sports, based on the National Basketball Association (NBA). It is the 20th installment in the NBA 2K franchise and the successor to NBA 2K18. NBA 2K19 was released on September 11, 2018 for Microsoft Windows, Nintendo Switch, PlayStation 4, and Xbox One. As the biggest adversary of EA Sports' NBA Live 19, 2K19 is lack in graphics but surpass in gameplays. MyTeam, MyLeague, MyPark and Neighborhood make up a complete system of an authentic basketball game should have. Franchised by NBA, all players name and rating, and even body gestures are same as it in real life. 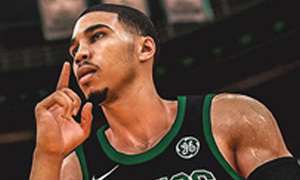 Where is the best shop to place an order of NBA 2K19 MT & VC online? 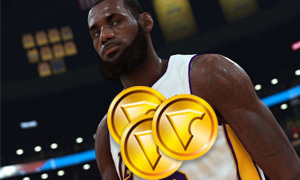 Joymmo.com provides you the cheapest NBA 2K19 MT & NBA 2K19 VC coins on account of the fact that NBA players and fans and looking forward of the launch day of NBA 2K19. 1) We promise to offer you the best service and best product with the best prices! 2) We will do our best to get your order as once! 3) The coins delivery is 100% safe and we will take responsibility for that! 4) With 10 years of rich experience in online trading can ensure 100% safe transactions!